The Individual Pubs are now accepting Bitcoin. So, it’s time to exchange virtual money for some pints! 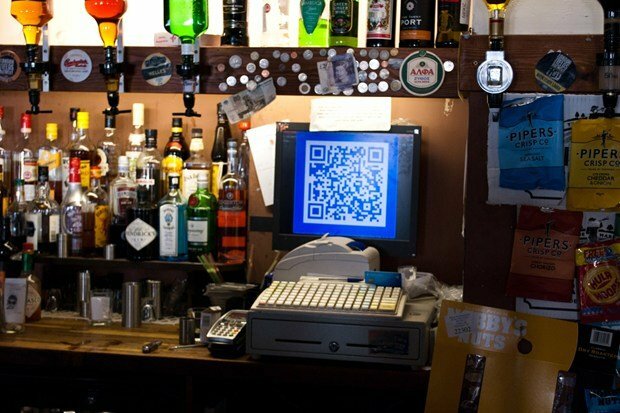 The four pubs, located in different points in the United Kingdom, have been accepting Bitcoins since the end of May. Good news, after the Haymakers pub, in Cambridge, also started accepting cryptocurrency a while ago, like we said here. But what led the founder and director of Individual Pubs to accept cryptocurrency? Well, Stephen Early says he doesn’t “like to make it difficult for people to pay” what they owe him. And it was quite easy to begin this process, according to the former computer scientist from the University of Cambridge. He says he hacked this kind of innovative payment into his customized software in “a couple of evenings”. Everything started at the pub in Norwich – which has three “brothers” in Peterborough, East London and Cambridge -, called The White Lion. “I had done all the paperwork I could stomach, and so I thought, right, here’s a thing I’ve been wanting to do for a while, let’s just sit down and do it”, tells Stephen Early. 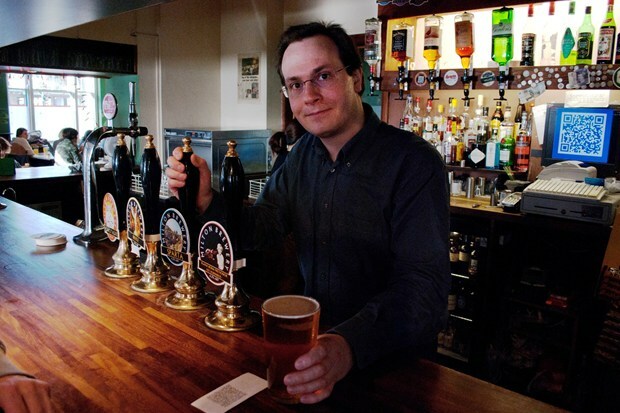 According to the director of Individual Pubs, the system is fast and simple. It’s just a matter of ordering a drink or some food and the waiter will enter the price into the till as normal, click on the button for Bitcoin payments and a QR code will appear on the screen. Then, the client scans the code with his smartphone and the Bitcoin app and that’s it. Integrating Bitcoin into the till system he created was simple. Stephen Early states “it’s a 1000 lines of code. 500 in the till and 500 on the server. And most of the code on the till is to do with displaying and printing QR codes”. However, the owner of Individual Pubs always takes a few risks: he doesn’t expect for the payments to generate a new block. In other words, he accepts the payments without verifying the transaction to avoid double spending. This saves time, but increases the risks. “By not waiting for a block, we are vulnerable. On the other hand, my attitude is if they do, they’re standing right here. They’ve got a pint in front of them. You can go and take it off them. People [in pubs]hang around after a purchase, rather than walking out, so I think the risk of a double spend is minimal”, he adds. And, then, the exchange rate of Bitcoins to pounds is checked by his webserver twice a day, making the price stable and uniform. It’s as “if someone comes in with an American credit card, the currency conversion is done in that case by the card company, and we get paid in pounds. It’s exactly the same here, except the currency conversion is being done by me personally, not by the card company”. Stephen Early believes that, gradually, Bitcoin “is becoming a bit more stable and a bit more resilient to press coverage”. So far, the four Individual Pubs have received around £750 in Bitcoin payments and most of the transactions have been made at the Pembury Tavern.